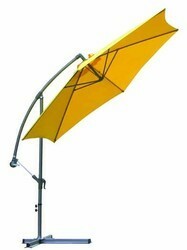 Made up of lightweight fabric, colored beach umbrellas are great to relax on the beach after bathing. 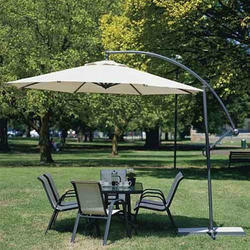 Promote your business among sea's residents and tourists through these umbrellas. Side Pole Umbrellas can bring your logo out to a whole new level of usefulness used ideally at outdoor locations and road shows they are an ideal medium to attract attention. Used extensively for having product demos at malls, shopping areas and outside housing complexes.